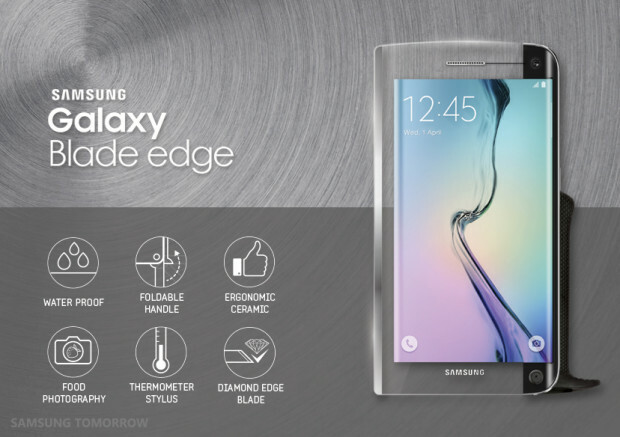 Samsung today announced the latest addition to its “edge” lineup. 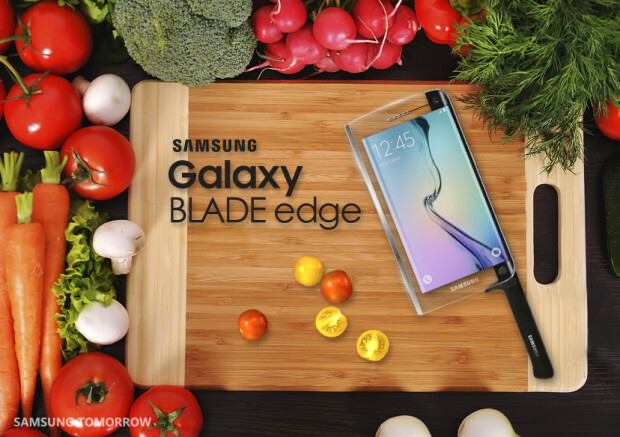 It calls the Galaxy BLADE edge the “world’s first smart knife” that has been made with the modern chef in mind. For this device Samsung has built up on the culinary expertise and cutting-edge technology that it has displayed with its Chef Collection series. The Galaxy BLADE edge smart knife as all of the features that you would find on the Galaxy S6 but it also as an edge that is “so sharp and strong” that it can double as a chef’s knife. The company says this can actually make all the knives in your kitchen obsolete. Samsung says that the Galaxy BLADE edge has a variety of sensors and algorithms that can make you chop and cut up to 50 percent faster than conventional knives. There’s even a special feature just for dicing vegetables and slicing fruit. It can even double as a wireless meat thermometer and baking tool. Then there’s the finger-detection management which will ensure that you never cut yourself in the kitchen again, the BLADE will retract automatically before it even cuts the skin. 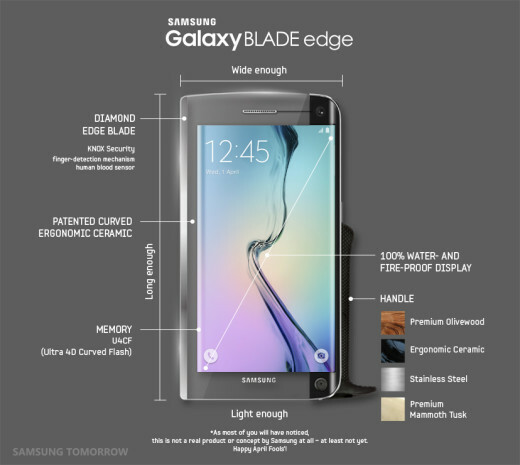 According to Samsung it designed the Galaxy BLADE edge to be the champion of all kitchen knives, no longer will the modern chef require any other smartphone or a set of knives again. Many of you would have guessed by now that this is not a real product or concept. It’s Samsung’s April Fools’ prank!